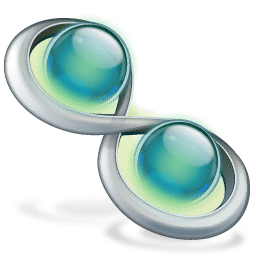 Trillian is a fully featured, stand-alone, skinnable chat client that supports Facebook, Google, AIM, ICQ, XMPP, Yahoo!, Twitter, and more. It provides capabilities not possible with original network clients, while supporting standard features such as audio chat, file transfers, group chats, chat rooms and buddy icons. 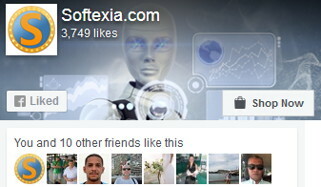 This chat client also supports multiple simultaneous connections to the same network, server-side contact importing, typing notification, direct connection (AIM), proxy support, encrypted messaging (AIM/ICQ), SMS support, and privacy settings. Trillian provides unique functionality such as contact message history, a powerful skinning language, tabbed messaging, global status changes (set all networks away at once), Instant Lookup (automatic Wikipedia integration), contact alerts. Moreover it provides an advanced automation system to trigger events based on anything happening in the client, docking, hundreds of emoticons, emotisounds, shell extensions for file transfers, and systray notifications. Chat and keep in touch with your friends and family, in your own style, through various IM and social networks...with the award-winning chat client Trillian! Supported OS: Microsoft Windows XP, Vista, Windows 7, 8, 8.1, 10.